High thermal conductivity in phase change materials (PCM) is preferred in thermal energy storage (TES) systems. Carbon additives are considered as suitable materials for this purpose; however, some important issues such as price and stability for these materials should be considered. In this study, graphite powder and multiwall carbon nanotubes as an inexpensive and a relatively expensive carbon additives were used to improve the thermal conductivity of a long-chain paraffin (P) with a melting peak point of 64 °C. Also an amine functionalization method was applied to enhance the dispersion of CNTs into the non-polar paraffin medium. At first, the thermal conductivity and stability of the materials, as important and critical properties, were evaluated. In the next step, atmospheric impregnation method was conducted to incorporate modified PCM into the expanded perlite (EP) particles and finally, a lightweight concrete was constructed by these form-stable EP/P composites. Thermal behavior of the final concrete sample was studied by a simple handmade apparatus. Also, DSC analysis was conducted to determine the melting/freezing point and latent heat value for modified paraffin and form-stable PCM composites. The maximum allowable volume percent of EP usage for having a structural concrete was also determined by compression strength analysis. 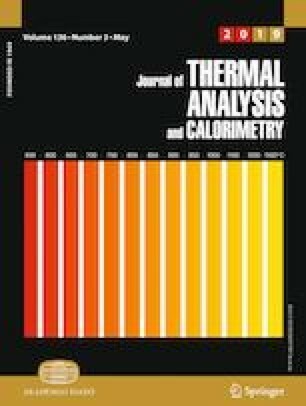 Thermal behavior analysis showed promising results for TES of the concrete block containing modified paraffin as phase change materials; also it was found that in form-stable technique, the stability of the additives is not significantly effective due to the narrow pores and channels, which reduce the effect of particles precipitation. This work was supported by Iran Nanotechnology Initiative Council. Financial supports from the research department of Tarbiat Modares University (Grant Number: IG-39710) are gratefully acknowledged by the first and second authors.